The holiday falls on the spring equinox. In this connection, the Baku Metro has prepared mini-concerts for its passengers, who will be able to listen to live performances of musicians in the station pavilion, on March 19 and 20. The performance of the laureate of international music competitions, pianist Fuad Alizade is scheduled for March 19 and 20 from 4:00 pm to 6:00 pm at the Icherisheher metro station. Within two hours he will perform on the synthesizer works of Azerbaijani, as well as world-famous composers. In addition, a trio of national mugham and instrumental quartet will give mini-concerts at four metro stations. Musical groups will perform alternately on March 19 and 20 from 11:00 to 13:30 in the pavilion of 28 May station, from 12:00 to 13:30 at the station Sahil, from 13:00 to 14:30 at the station Icherisheher, from 14:00 to 15:30 at the station Elmlyar Akademiyasi. Along with this, Baku Metro CJSC will switch to an enhanced mode of operation on holidays of Novruz. 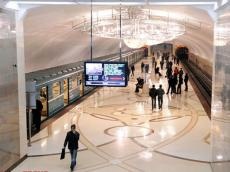 Taking into account seven non-working days - from March 20 to March 26, the work of Baku metro will go according to the holiday schedule. However, taking into account the mass festivities in the central streets of the city and the arrival of tourists, the metro plans to adjust the operating mode of some stations and train traffic. In this regard, the chairman of the ZAO Zaur Huseynov signed the convenient order. Touching upon the Novruz, many traditions and believes are associated with this cherished holiday. “Khidir Ilyas” (the symbol of fertility), “Kos-Kosa”- an entertaining game, which symbolizes the incoming of spring and fortunetelling are among them. Four Wednesdays before Novruz are devoted to one of the four elements: Water, Fire, Wind and Earth. Each Tuesday has its own traditions.